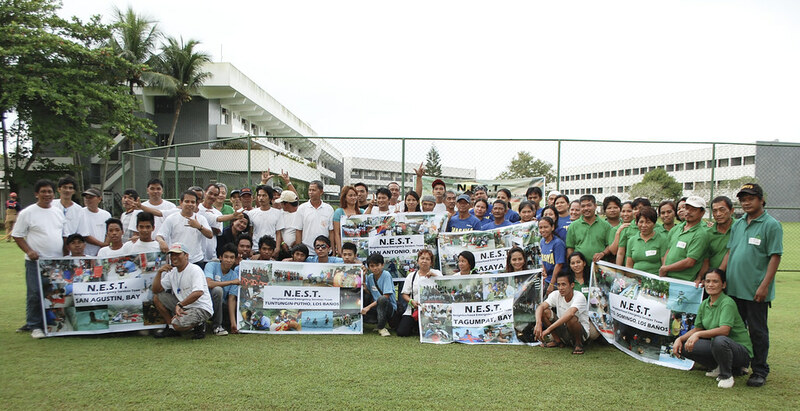 IRRI hosted the Neighborhood Emergency Service Team (NEST) Olympics, with participants from 6 barangays in Los Baños and Bay, on 13 October. The one-day Olympics served as a refresher course and test for current NEST trainees on various emergency skills. 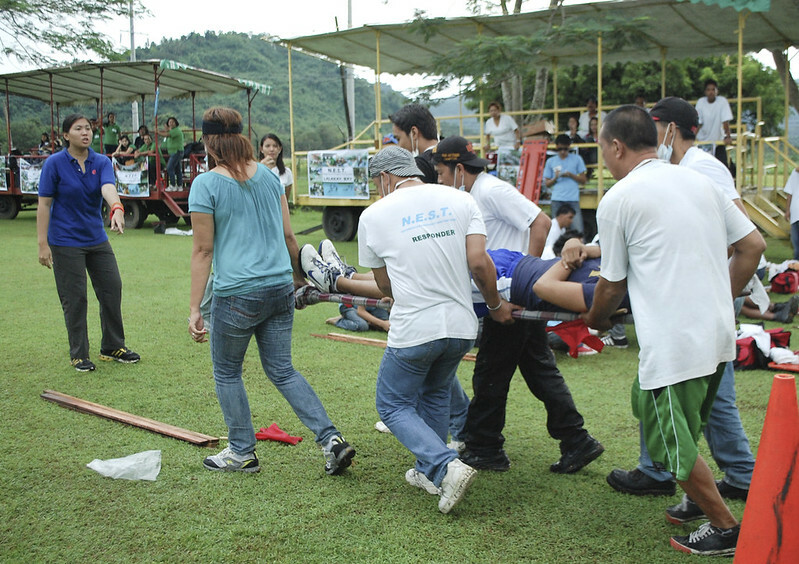 Events included medical response, carrying an accident victim, and fire-fighting response ("pila balde"). The Barangay Sto. Domingo Team from Bay won, with barangays San Antonio (Bay) and Tagumpay in second and third places. Deputy Director General for Communications and Partnerships (DDG-CP) V. Bruce J. Tolentino awarded the trophies to the winning teams. Los Baños Vice-Mayor Josephine Sumangil-Evangelista was present during the awarding ceremony. IRRI's Host Country and Community Relations Office and Safety and Security Services office organized the NEST training, which started in January 2012 and will continue until December 2013. It is being held with support from the United Parcel Services (UPS). Facilitators came from the Emergency Research Center, Inc. The NEST training is intended to strengthen and improve the preparedness of members of IRRI' host communities in case of emergency and help them avoid crime and terrorism, prevent fire incidents, and learn the use of basic firefighting equipment. Trainees thus contribute to the safety and security of the community and help save lives. During a major emergency, large numbers of victims, failure of communication, traffic, and road blockages will prevent victims from accessing essential emergency services on time. 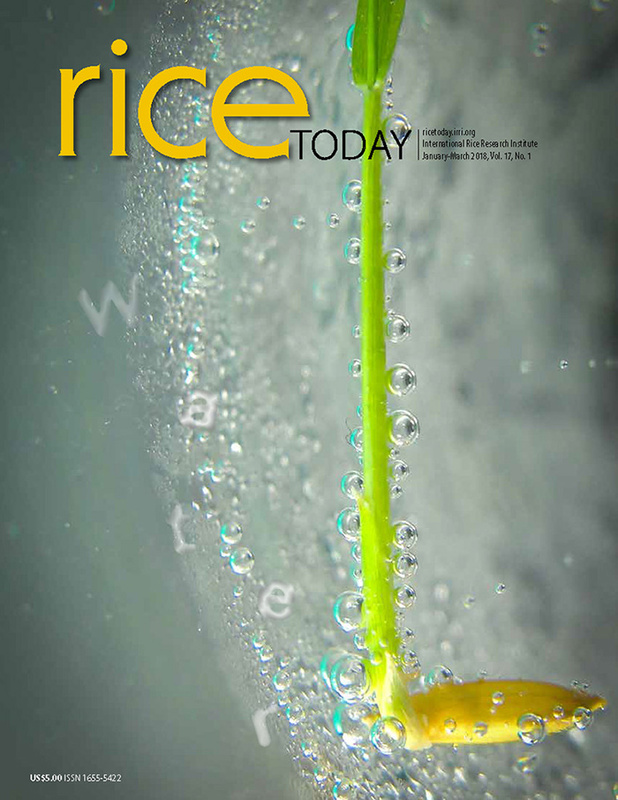 People will have to rely on one another for immediate life-saving and life-sustaining needs. Under these conditions, family members, schoolmates, fellow employees, and neighbors will naturally try to help each other; emergency skills and preparedness are thus very important.